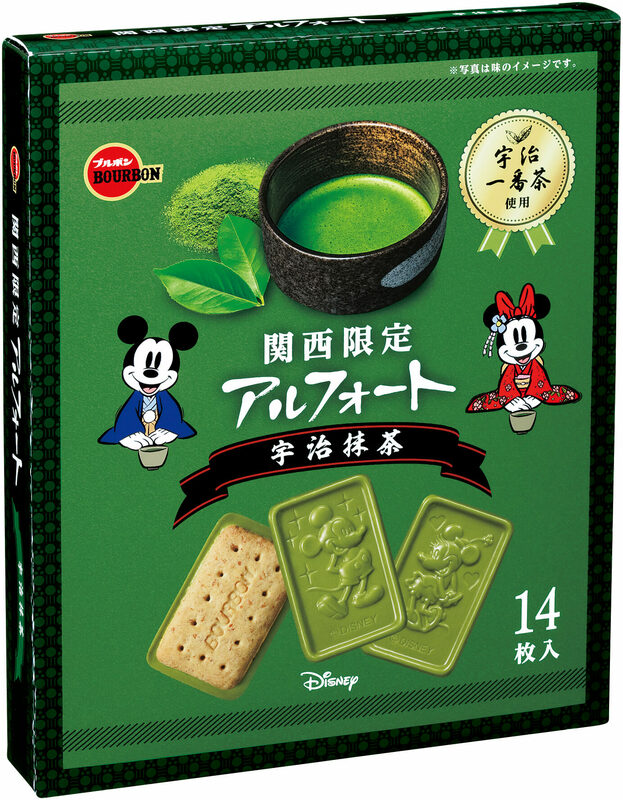 The new Uji matcha flavoured Disney Alfort biscuits will be released in the Osaka, Kyoto, Hyogo, Wakayama, Nara and Shiga prefectures. 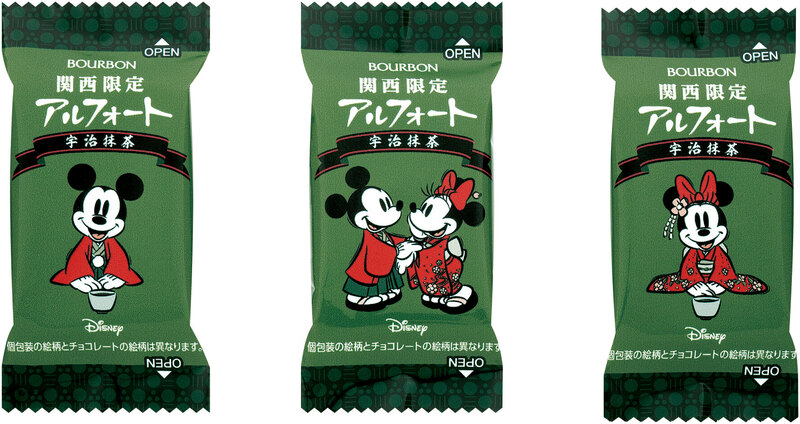 They were released early on March 1, 2019 at JR Rail stores and will be released at major souvenir shops at other train stations, airports and highways on March 12. 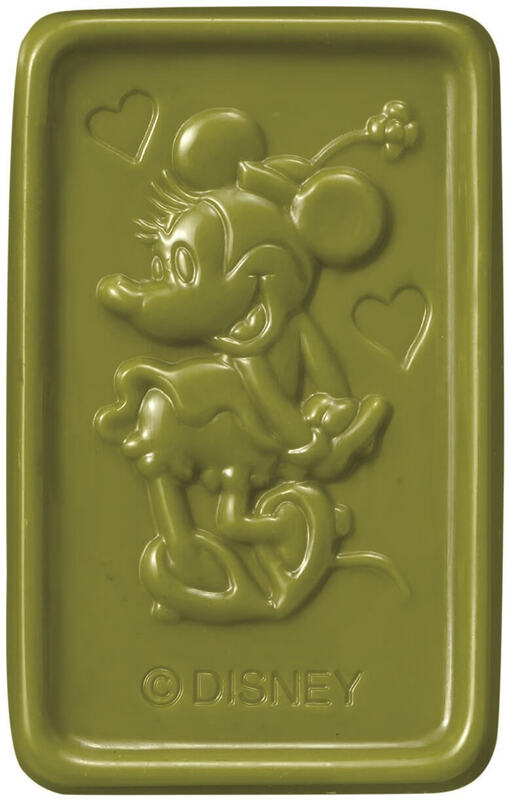 The Disney Alfort are a combination of biscuit and Uji matcha with fun Mickey and Minnie Mouse designs imprinted on them. The crunchy digestive biscuits are made with wholewheat flour and chocolate that is layered with fragrant and delicious first-grade matcha. 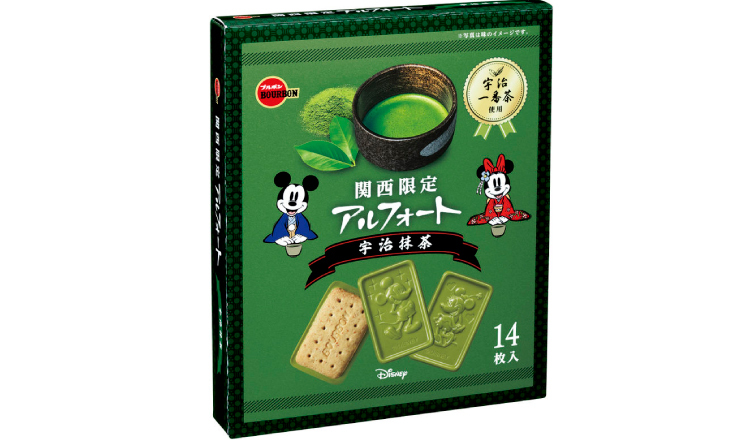 The biscuits maintain the same deliciousness as the original Alfort biscuits but have a rich and bitter Uji matcha bite to them. There are three different packaging designs the biscuits are wrapped in. 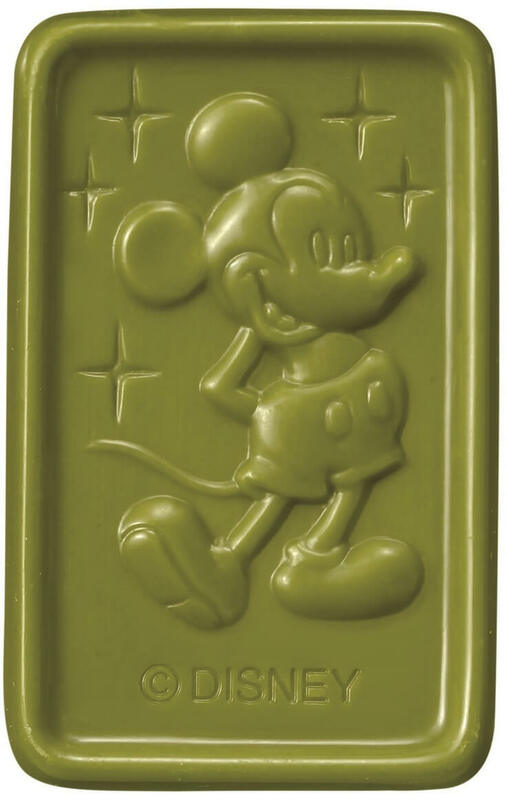 If you love Disney and love matcha then be sure to pick up a box yourself.